Commisioned by the American Guild of Organists for the 2019 Ronald G. Pogorzelski and Lester D. Yankee Annual Competition. Frederick Hohman is the 2019 Award Recipient in the annual Ronald G. Pogorzelski and Lester D. Yankee new organ music competition, sponsored by the American Guild of Organists. 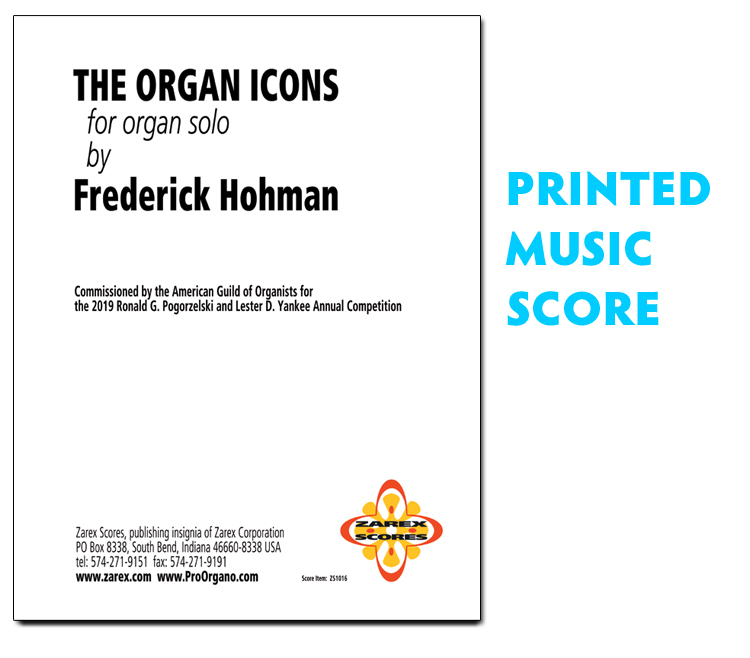 Dr. Hohman composed the organ organ work THE ORGAN ICONS in response to the $10,000 prize which was attached to the award. Dr. Hohman is the fourth recipient in this annual AGO composition competition. 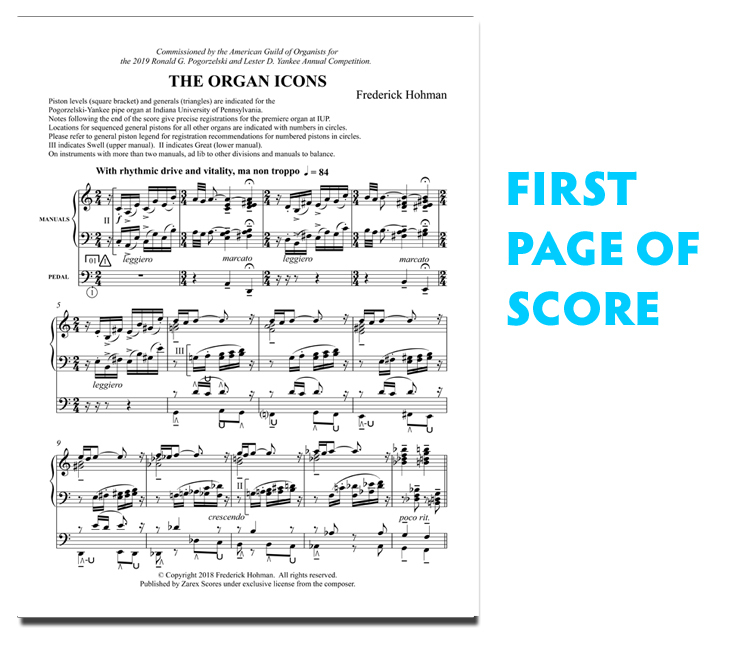 THE ORGAN ICONS has a duration of 12 minutes, and it a virtuoso piece intended for moderately advanced to advanced players. 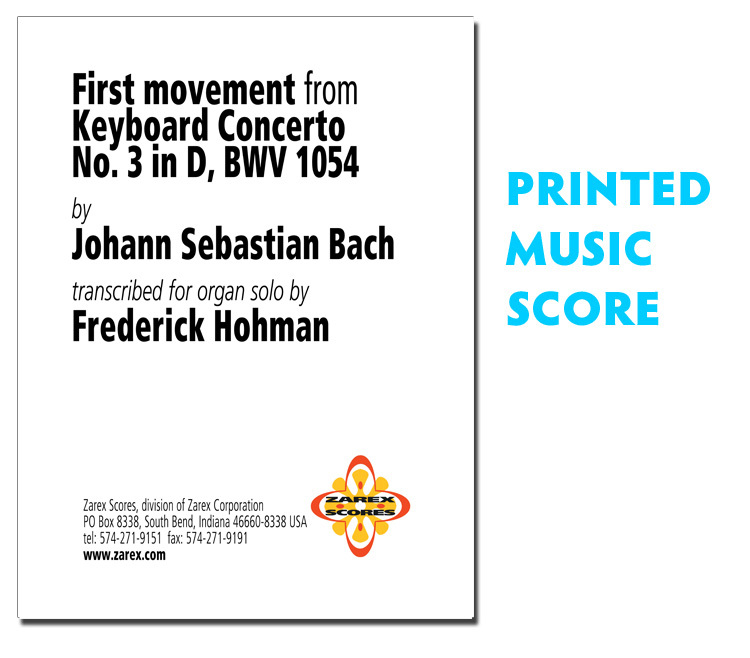 The score includes the composer’s organ registrations for the two-manual and pedal organ on which it is being premiered (at Indiana University of Pennsylvania), as well as general registration indications that will adapt to a wide variety of pipe organs. a total of 32 pages plus cover. This item includes ONLY the music score. 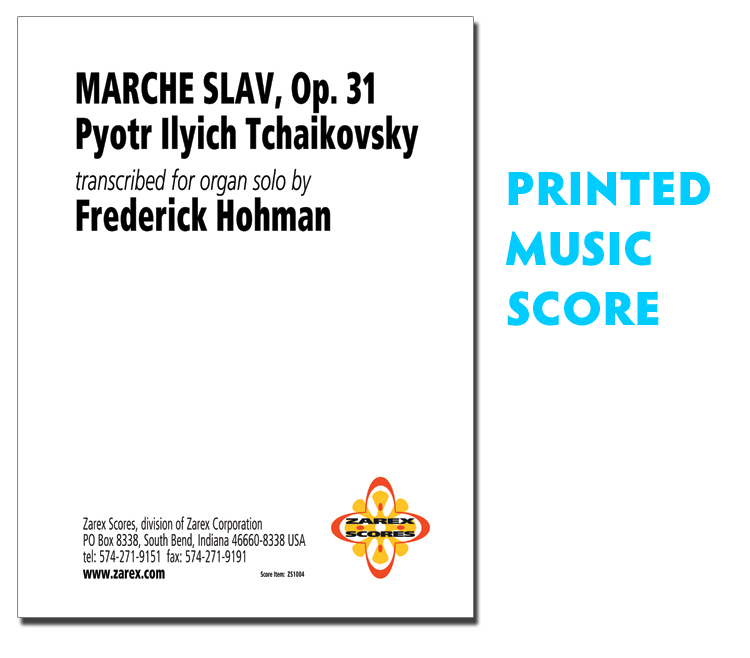 A video recording of the work as played by the composer is expected by July 1, 2019, when it shall be posted to a public video-sharing forum. A Video Discussion about THE ORGAN ICONS at Indiana University of Pennsylvania on 3 March 2019 in the hour prior to the world premiere of the work, as performed by Katelyn Emerson. Frederick Hohman provides information in depth on the work, with moderator Dr. John Levey. 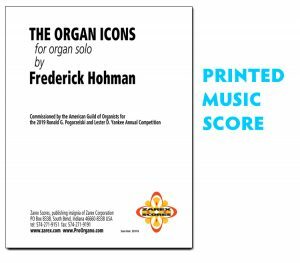 Zarex Scores brings you the original organ and choral compositions and organ transcriptions of Pro Organo's founder, Frederick Hohman. 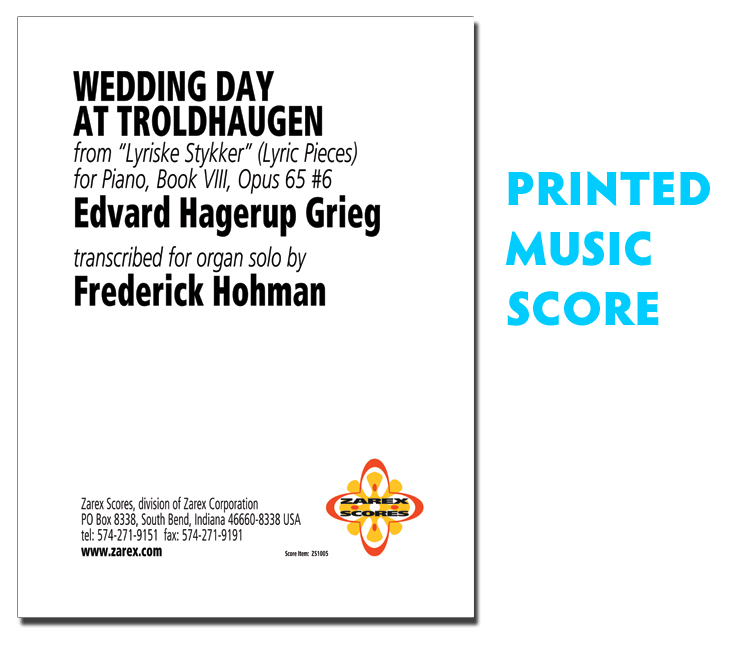 Published music scores now allow all organists to recreate and experience the organ music that Hohman has made popular through radio airplay on Pipedreams, tv broadcast on the Midnight Pipes series, and through widely-viewed internet posts.